An independent study showed increased blood flow in horses after using the Accuhorsemat. From horses and riders to all athletes and fitness enthusiasts, our acupressure tools help you stay in the game by reducing pain, relieving tension, and accelerating recovery. Accuhorsemat is a holistic treatment method to accelerate recovery, relieve pain, and improve mobility. This easy-to-use acupressure mat will reduce tension and soreness in your horse, offering natural relaxation and muscle recovery. Help your horse feel their best and they can perform at their best! As an athlete, sore muscles and tight fascia come with the territory – but there’s a better way. 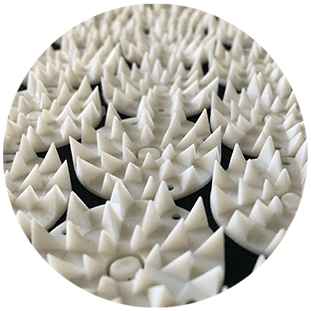 Our Acuswedemat provides 14,000 points of myofascial release, stopping stiffness in its tracks, loosening and healing your body, and preventing injury. Acupressure now so you can perform later. No appointments. No hassle. Just lie down and heal. Find us this summer at competitions & events around the country for demos & discounts on Accuhorsemat and Acuswedemat! Got a bad shoulder? Acupressure mats eliminate pain with myofascial release and endorphins. Shoulder pain, neck pain, back pain – Gone! Training for a competition? Acupressure mats increase your blood flow for restored muscles and faster recovery. Brain and body a bit stressed? Acupressure mats soothe your muscles and your mind. No insomnia. No headaches. No problem.